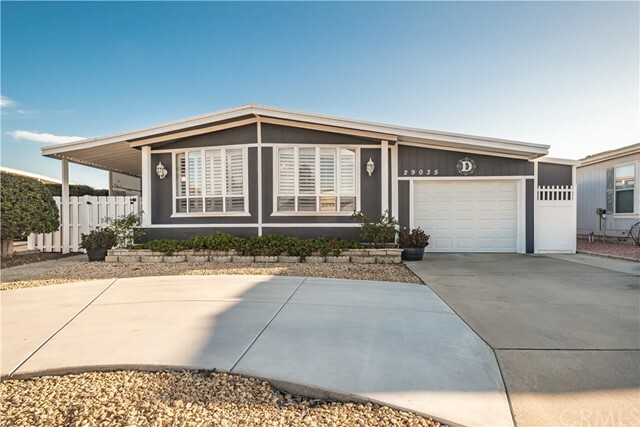 WELCOME to this CHARMING manufacture home located in the GOLF KNOLLS 55+ plus senior community where each home owner, owns their own residential property. 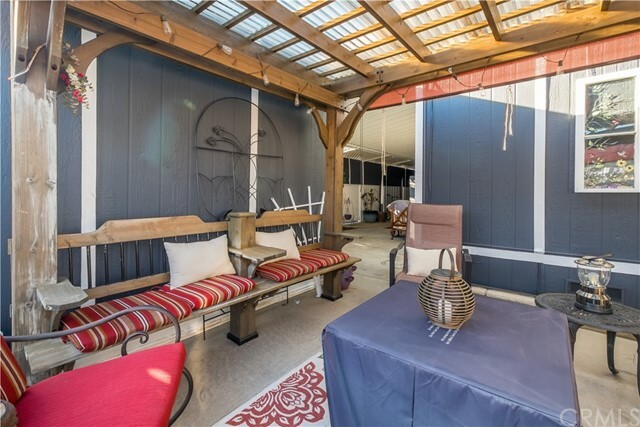 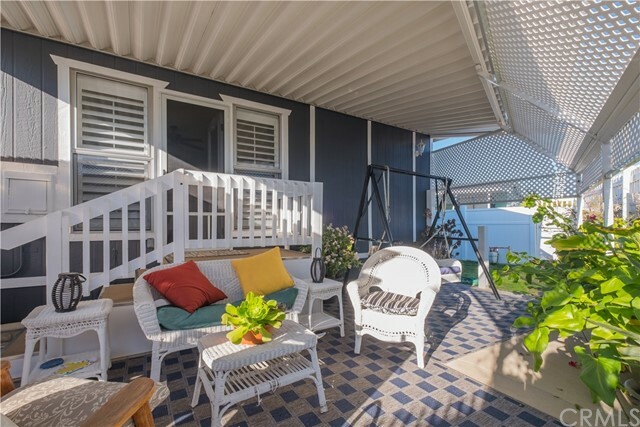 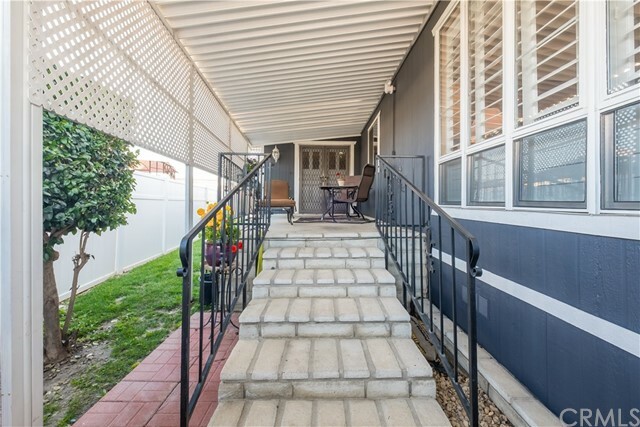 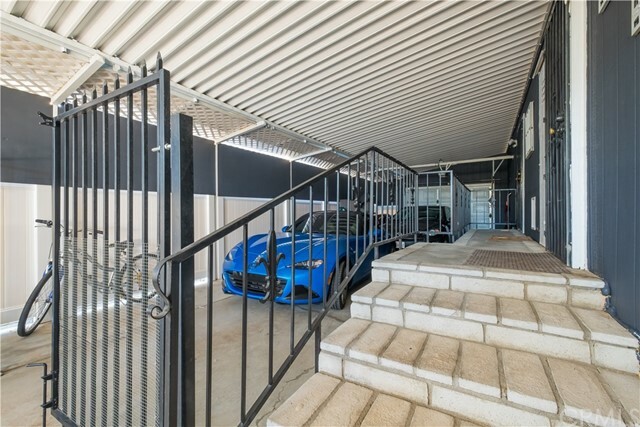 This property boast the perfect amount of details that has been tastefully done. 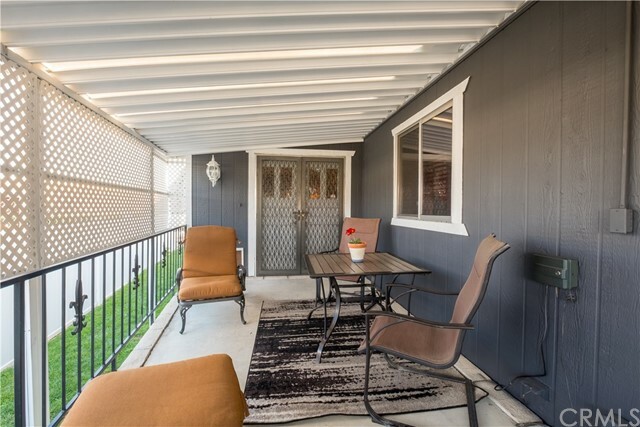 Once your through the privacy gates your greeted by the front porch entertaining or having your morning cup of coffee. 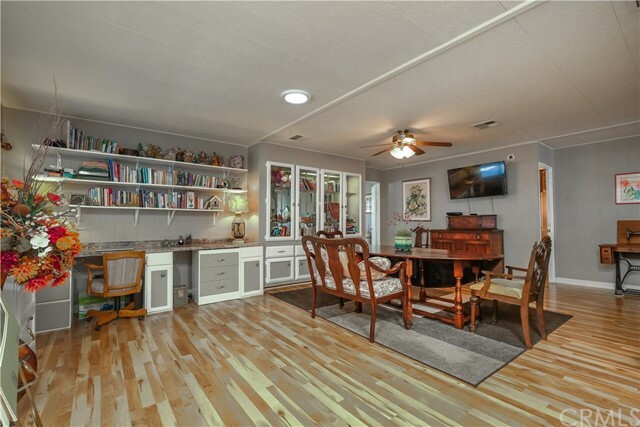 Enter from the double door entry into the front room with a custom desk, added cabinets and a skylight. 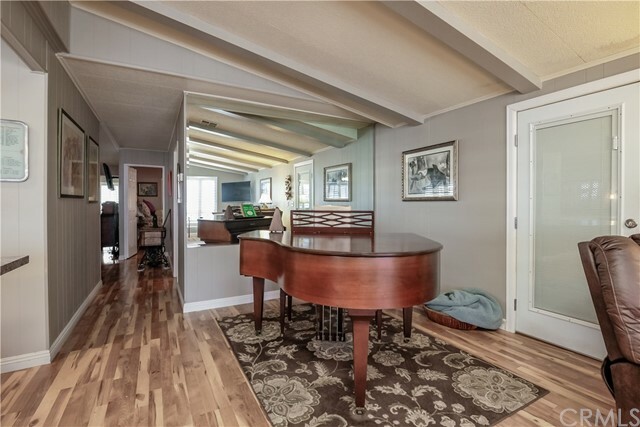 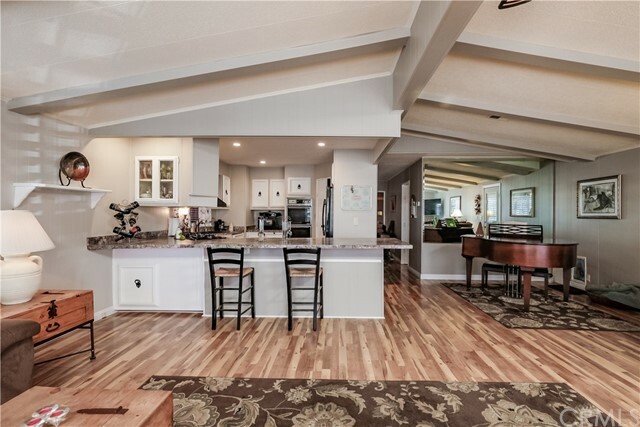 Through out this gorgeous home are beautiful laminate floors that flow from room to room. 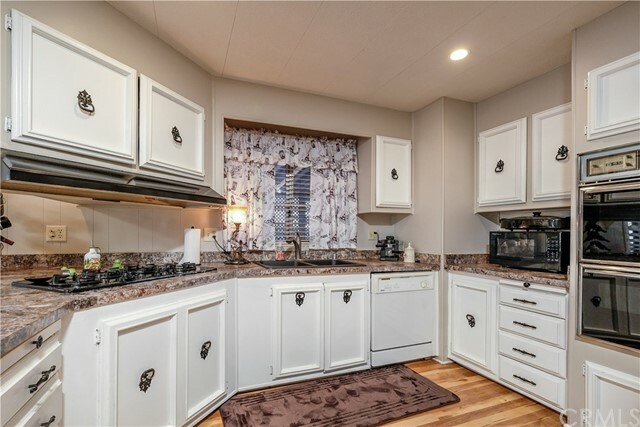 From there you will find the kitchen that has been remodeled with cabinets being painted to the new recessed lighting and sink. 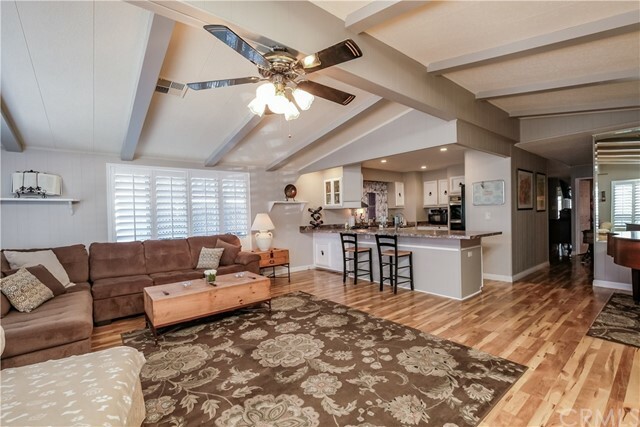 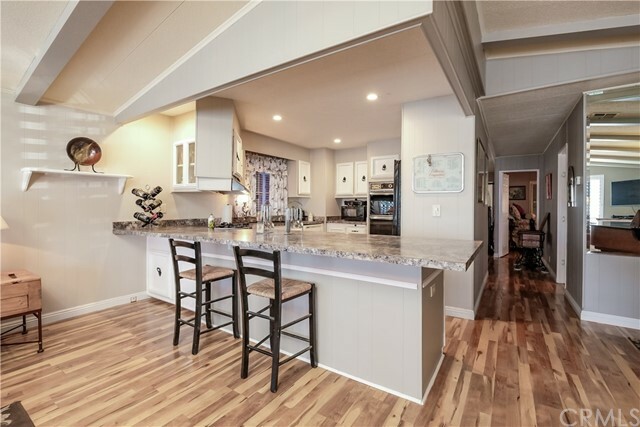 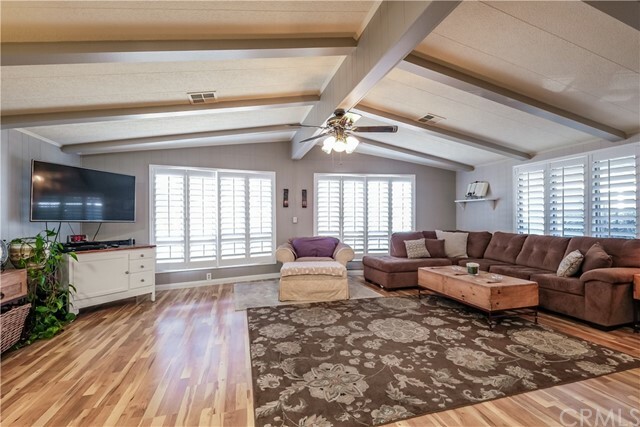 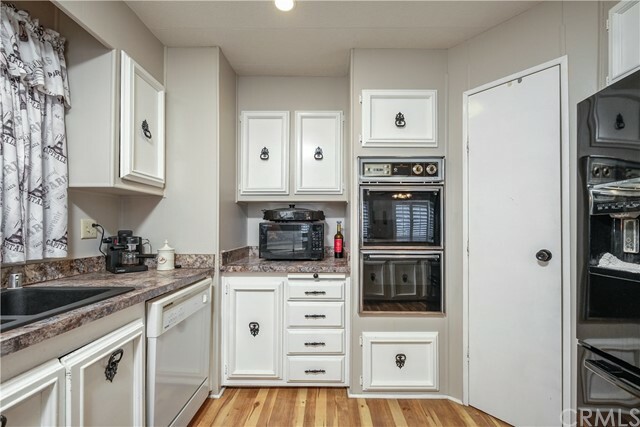 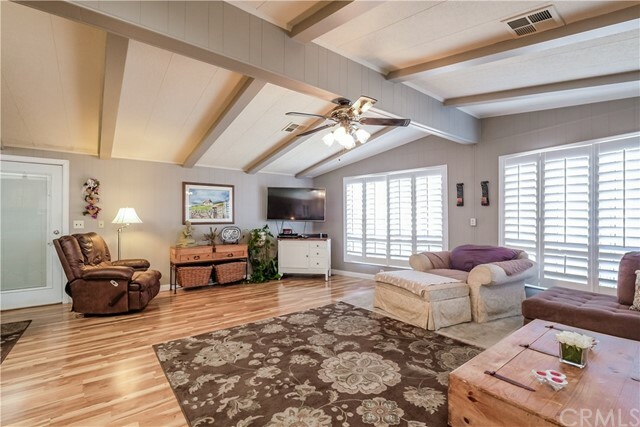 Adjusted to the kitchen is the family room with beautiful beam ceilings, wood shutters and picture windows that look out to the front yard with circular driveway. 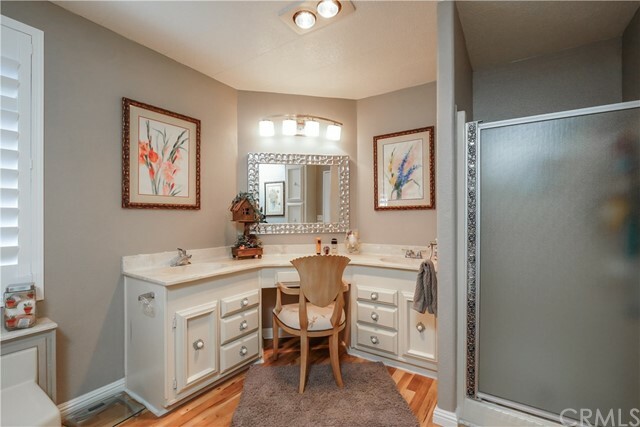 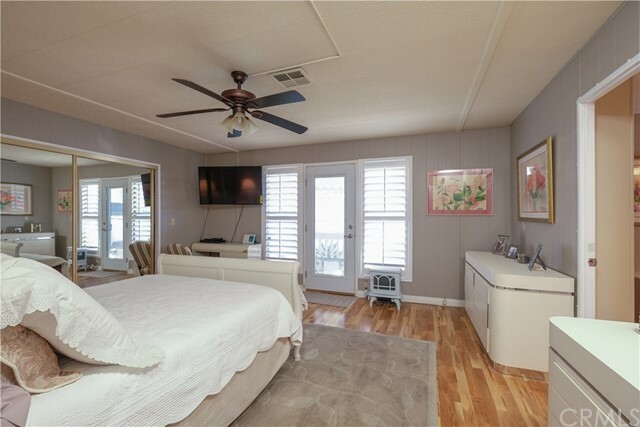 Additionally there are wood shutters in the master bedroom, and both baths. 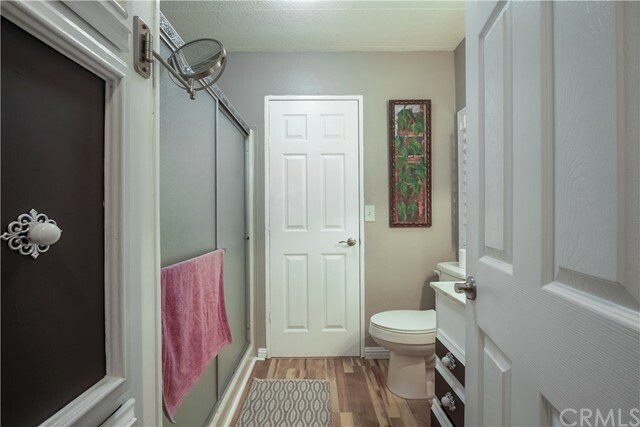 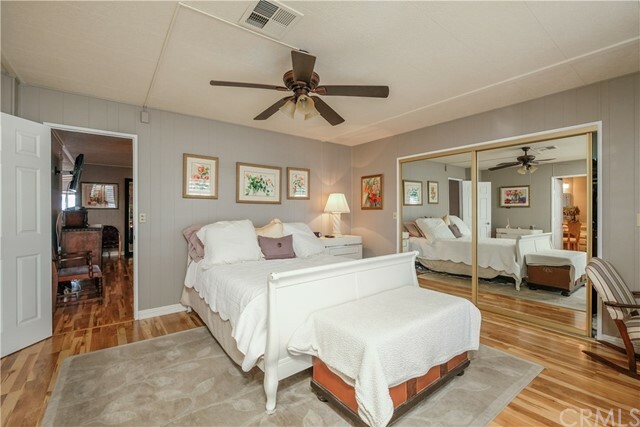 The master bedroom is quaint with an large mirrored walk in closet that looks toward the en-suite master bathroom with soaking tub and separate shower. 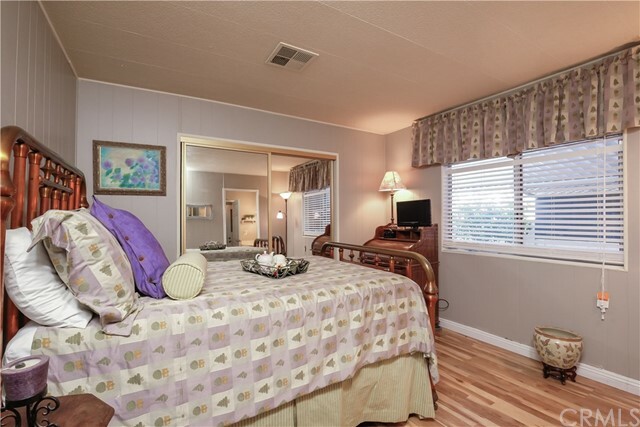 The second bedroom is large enough for all your quest to enjoy and it adjoins the guest bathroom. 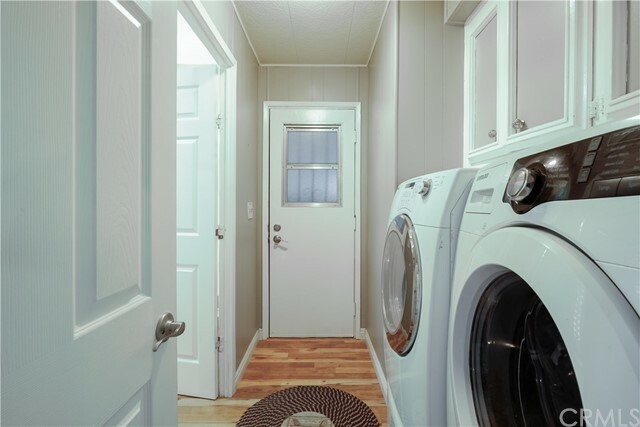 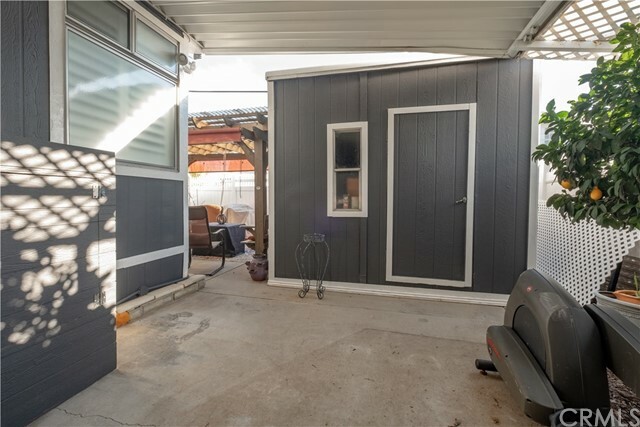 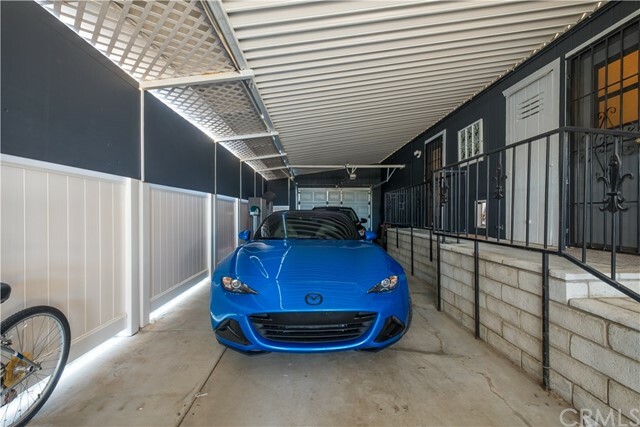 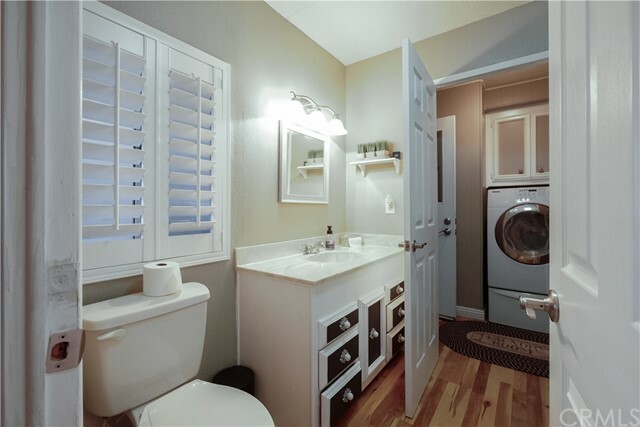 The indoor laundry flows toward the parking area that has been enclosed for your privacy. 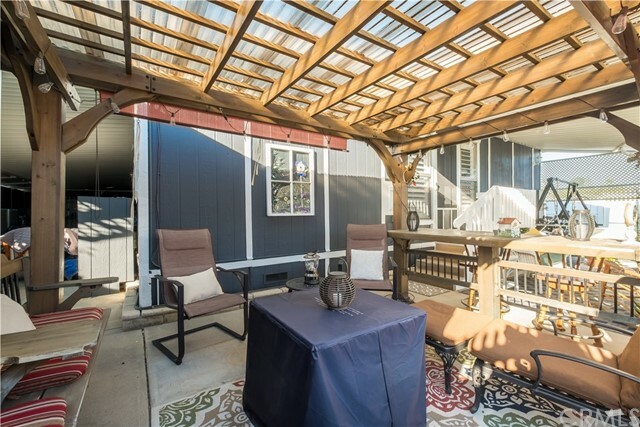 This home boost a garden with grass side area, automatic sprinklers. 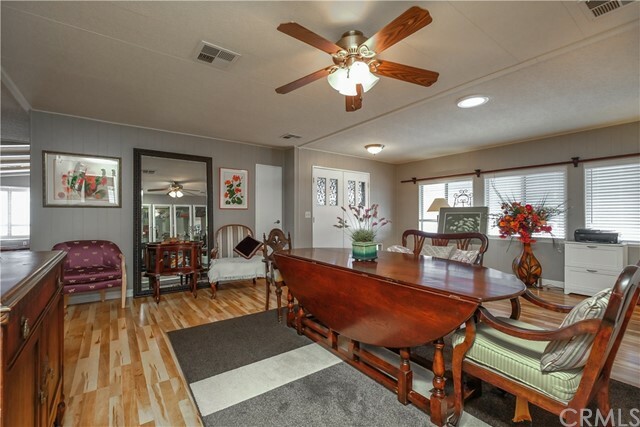 The home is close to shopping and award winning wineries. 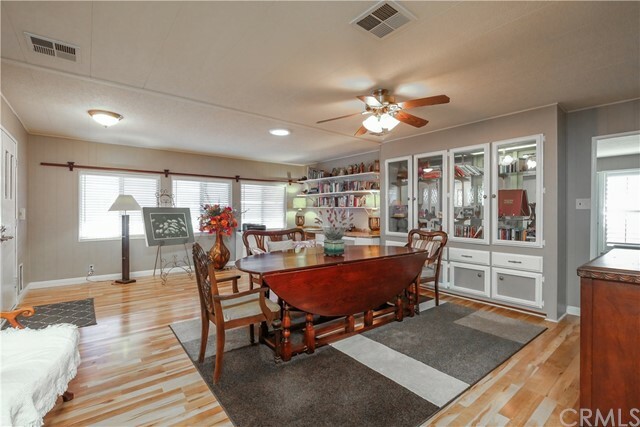 Come and enjoy what this home has to offer.